From the series Surface, Submerge. I love the dead birds. Out of context that sounds weird, but it’s true. So beautiful. I’m glad you do, Anna, thank you. The texture, composition and color, all sublime. Then there’s the sheer expressive impact. My breath catches. The network of ghostly grasses around the wings suggest a net which caught the wings. Very lovely photos, Karen. I guess you are right, Judy, I hadn’t thought of a net but that gives it another meaning. Thanks for your comment. Stunning Karen! Just love those metallic greys, part real, part paint almost, part photography..and almost like they are still trying to dance on the ground..
Beautiful images Karen. I’m especially taken with the second. As is often the case with your pictures, I keep going back to it. Adrian, I take it as a great compliment that you find they take extra looking. Thanks so much. The sadness and the beauty of the return…so compelling…and so tender in your presentation. 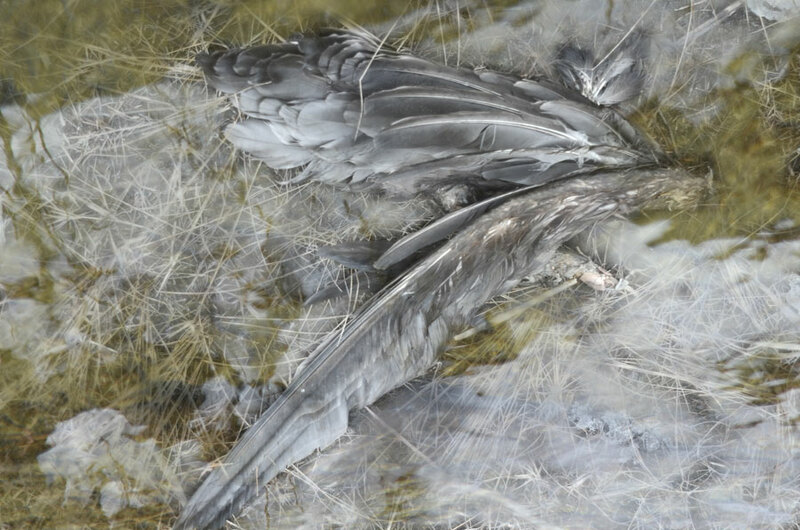 Nature orders, life, death, decomposition, poetically portrayed… natural. It’s beautiful, Karen. Thank you. That’s amazing Karen, but it has a totally different effect on me then it might on others. 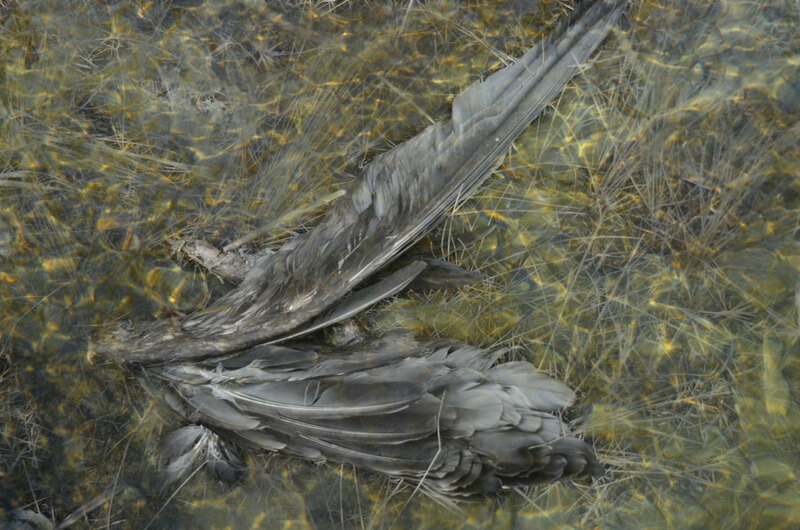 When I look at that it makes me think of the remains of a bird that an alligator had caught in the marsh pond. But then again, almost everything reminds me of alligators. Feathers are always beautiful aren’t they? And wings are such mechanical wonders. So lovely Karen.. as I have said before your signature/voice is so strong. I would know your images anywhere. I think I still have to find mine although I am suspecting it is for strong colourful images.. though maybe it changes over time?? Such beautiful and stylish detail, the feathers have such a richness to them. A bit sad, but most of all a very interesting work of photography. Wow, I am completely swept up by these. So moving and fascinating at the same time. Really wonderful work, Karen. The appearance which drifts the glittering water surface is lyrical. Amazing, Karen!! Exceptionally beautiful. Karen! Especially the first one: the colours, the textures, the composition, everything! I like how this bird and water combination series is developing very much. These two are amongst my favourites of your images, for sure. Stunning photos, Karen. I love them, especially the second one: the lighter grey areas around the wings are like clouds. It’s almost as if the wings were still alive and flying. Like a dream!! I love how you see! There is a dynamism here – the reflections make it look as if something is leaving the corpse – traces of getaway routes or maps of flight paths. I love these merged images they are so fascinating. I like the way you play with the concept of depth and surface, which seems at the very heart of your work.